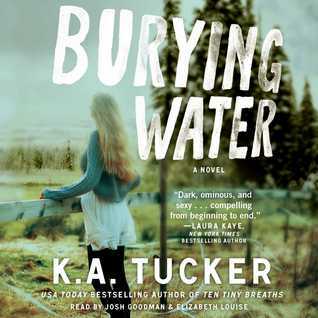 Burying Water is another book out of my normal reading comfort zone, but since I really loved Ten Tiny Breaths by Tucker I wanted to give this a try. Burying Water centers around Water, a young woman who can’t remember her past after a horrible attack, and Jesse, the guy who knew and loved her. I did really like that it was mostly centered on Water’s progress and growth after whatever caused her to leave her memory, while the chapters with Jesse centered on her past and everything leading up to the point. 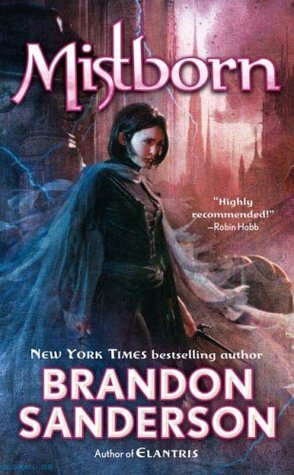 It was a really neat way to have the story unfold & even though I think it’s fairly obvious who does what to her I did enjoy the overall story. Water’s desire to find a place for herself and the new relationships she forges is what made the story for me though. I loved her odd friendship with Ginny and the bond that they share. One of the few things that turn me into mush is when someone who is fiercely independent and jaded finally finds someone they feel they can trust and confide in. Jesse is a great guy, even with his troubled past following him around. His sincerity and openness really makes him a keeper, and I loved the two of them together. The only problem I had with this one was the pacing. It moved so slowly at times and despite the continuous stream of words in my headphones I felt like I wasn’t making much progress. However I think this is probably the narrator’s fault and not the book itself. I had the speed on the fastest setting in the app and they were still speaking at an almost normal pace. It did seem a bit more relaxed than a normal “suspense” type book, so that might have played into it a bit as well. Overall this was a pretty good start to a series, and I look forward to reading the second one when I get the chance. This entry was posted in Book Reviews (2015) and tagged 3.5 Stars, audiobook, contemporary, new adult, review, romance, thriller. Bookmark the permalink. Yes, Ten Tiny Breaths is definitely better than this one in my opinion. The best parts of Burying Water are also in TTB, but I didn’t have pacing issues. I loved Ginny. Glad you liked this, but I can’t stand a slow narrator. I listen fast or I zone out. I think the 2nd book is a lot better.